This holistic health audio by mind-body pioneer Emmett Miller MD is a potent combination of guided imagery, self-hypnosis and affirmations for help with preparing for radiation therapy and reducing the side effects of radiation treatment. 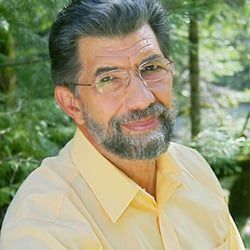 Emmet Miller, MD, a leading guided imagery pioneer and virtuoso practinioner for 30 years, is known for his masterful meditations that inspire a deep receptivity to healing - mind, body, and spirit. His powerful, soothing voice and brilliant, evocative imagery are held to be a gold standard in the mind-body field.